As website designers, we always work closely with our clients often trying to improve the end user experience of the website such as a clear navigation scheme, a clean layout of the website design, and the colour pallet of the site. Having a sensible navigation system on a website is a no-brainer, as it allows your visitors to quickly locate something of interest, for instance, more details on one of your products or services. Another thing that can be incorporated into your website design to help guide your visitor through your website is a ‘Call to Action’ CTA. Think of CTA as a roadside sign, you can put up multiple CTA’s, however too many could become confusing. Placement of your CTA on your website design is extremely important. The call to action should be obvious to the visitor and its placement should make sense with the page’s content. When it comes to choosing a style for a Call-to-action the only limits to its design are our imaginations. 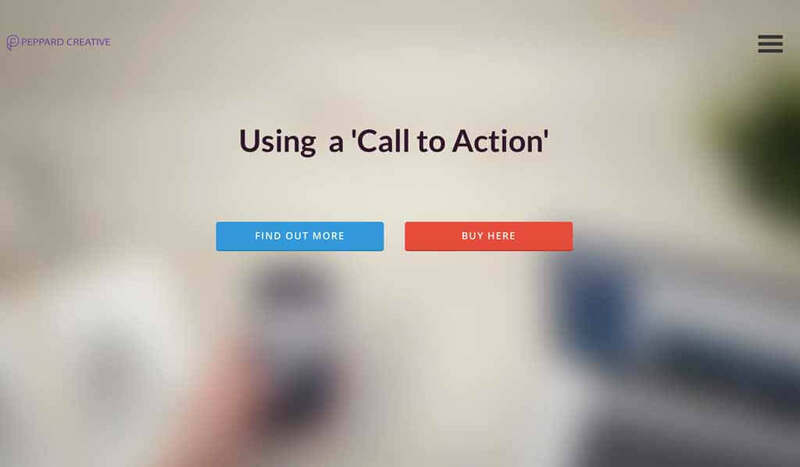 Hubspot has published a list of 30 examples of call-to-action buttons.